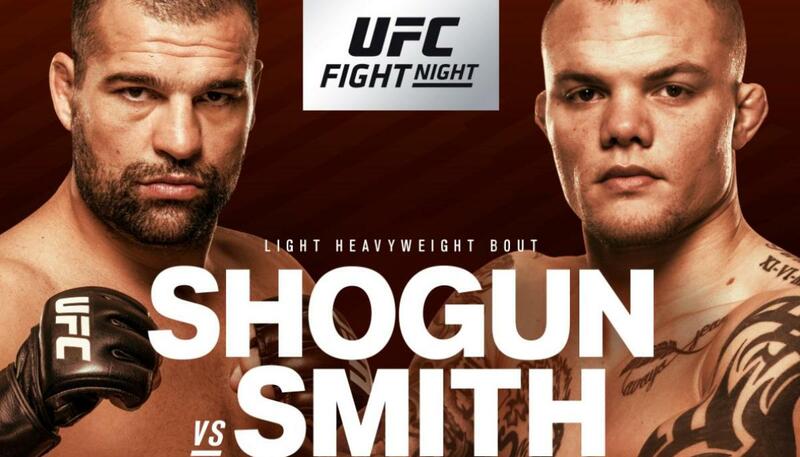 The UFC will embark on a return to Germany this weekend with a card headlined by a pair of light heavyweight matchups, including one that sees former champion Mauricio “Shogun” Rua looking for his fourth straight win as he takes on upstart contender Anthony Smith in the main event. 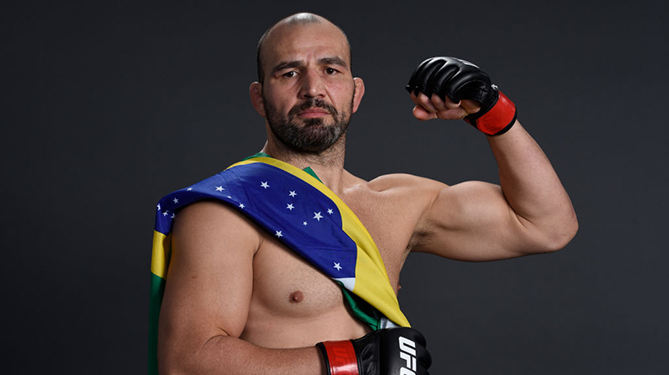 Former title challenger Glover Teixeira will also be back in action this weekend as he takes on former Ultimate Fighter winner Corey Anderson, who stepped up on short notice for the opportunity to take on the top five-ranked light heavyweight. It will also be a battle of the big men when Marcin Tybura takes on Stefan Struve in what should be an action-packed affair. @LionheartSmith says he's going to “viciously” knock out Shogun at #UFCHamburg. Former light heavyweight champion Mauricio “Shogun” Rua has been on his best streak since winning the title as he looks for four wins in a row when he fights in Germany. While “Shogun” is best known for his blistering power and devastating knockouts, in recent years he's started to adapt that style to avoid taking as much damage while also being able to land with volume over multiple rounds. That doesn't mean Rua doesn't pack a punch any longer; he's just not as reckless as he once was during his early days as part of PRIDE Fighting Championships. Rua will need to showcase both solid offense and defense in this particular matchup because he's taking on a very heavy-handed opponent with dynamite coming from his hands, kicks and knees. Anthony Smith was cutting a lot of weight to compete at 185 pounds but his body was built for fights at light heavyweight, so that's where he's at now. Smith made quite the debut back in June when he demolished former champion Rashad Evans in the first round and he'll look for a second win over a legend of the sport when he faces Rua in Germany. Smith rarely keeps his game plan a secret, as he likes to step forward and unleash a barrage of strikes that will typically overwhelm his opposition. Smith lands with good volume, solid accuracy and he doesn't slow down much over three rounds thanks to conditioning that will get only better now that he's not shedding so much weight before his fights. Smith's ability to unleash that fight-ending power, especially when he's working from the clinch against Rua, will be a key to winning this fight. Rua loves to use the clinch to set up knees and elbows, but he might not be able to use that strategy against a fighter as tall and powerful as Smith. At a distance, Rua and Smith are very similar with their striking patterns and neither one are exactly known for having the best head movement to avoid damage. That said, Smith has the kind of fight-altering power that could spell disaster for Rua if he's not able to avoid those strikes on the inside that could shift the direction of this fight in favor of the American. 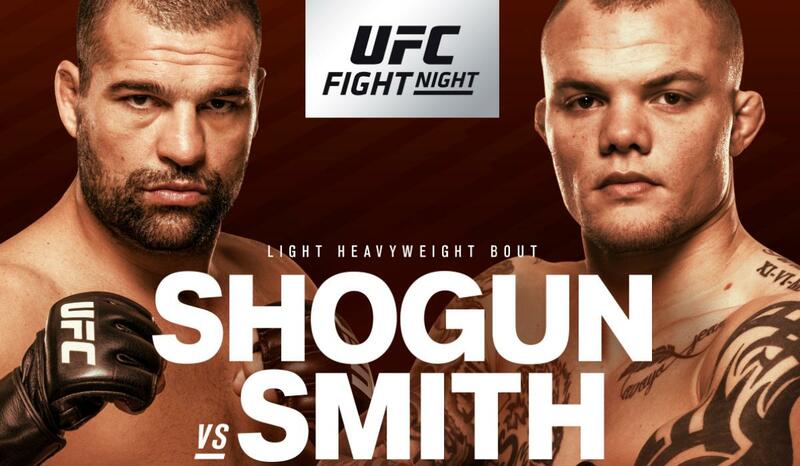 Smith hits like a truck and he only needs one or two solid shots to land to do maximum damage to “Shogun.” This fight might turn into an all-out brawl, and once again that favors Smith, as he's younger, fresher and seems like the kind of fighter who will give anybody problems in the light heavyweight division. Glover Teixiera has been one of the best light heavyweights in the world for quite some time, but Corey Anderson will do his best to steal that spot when they meet in the co-main event. Anderson is coming off a dominant win over Patrick Cummins in his most recent fight and he'll look to build on that when he returns in Germany. Anderson is best known for his top game and wrestling-heavy attacks, where he averages over five takedowns per fight. Anderson will probably need to fall back on that grappling strategy to negate the kind of power that Teixeira will be throwing at him on the feet. Anderson has developed a very slick jab that he uses very well to set up his takedowns and that will definitely be a weapon he'll want to use against Teixeira. With a three-inch reach advantage, Anderson using that jab to keep Teixiera at a distance and then swooping in for the takedown will definitely be a great weapon to use in this matchup. As for Teixeira, he will be looking to stuff that takedown and light up Anderson on the feet with his powerful punches. Teixeira isn't the most technical boxer in the world, but he definitely has knockout power in both hands and he can put together finishing combinations from the outside or inside. Teixeira has also showcased incredible toughness throughout his UFC career, so he has no problem digging deep and gutting out a round or two if that's what it takes to get the job done. What's more likely, however, is Teixeira testing Anderson's chin with those clubbing strikes that he likes to throw from the outside . If Teixeira can stop Anderson's takedown and then begin firing back with his best punches, it's going to be awfully tough for the former Ultimate Fighter winner to take that many shots before he's down on the canvas, staring up at the lights. Anderson certainly has the skills to win this fight, but taking this matchup on short notice, combined with Teixeira's massive punching power, makes it tough to pick against the Brazilian. It will be do-or-die for a pair of heavyweights in Germany when Marcin Tybura and Stefan Struve clash, with both fighters looking to bounce back from two straight losses. Tybura was on a three-fight win streak before suffering back-to-back losses to Fabricio Werdum and Derrick Lewis, so it's not like he's been falling to lesser competition. Still, Tybura wants to get back on track rather than suffer a third straight defeat. 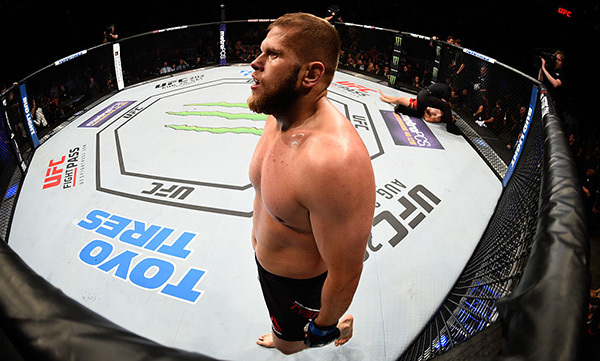 Tybura has shown well-rounded skills in all of his fights in the UFC, including solid output on the feet as well as an underrated ground game. Tybura has also been able to push the pace for all three rounds, which is rare in the heavyweight division. As for Struve, the “Skyscraper” has struggled to find consistency, with a pair of impressive wins against Antonio Silva and Daniel Omielanczuk before then dropping his past two fights. Struve is obviously one of the tallest fighters to ever compete in the UFC but he rarely uses that length to his advantage, especially on the feet. Struve notoriously fails to establish his jab and prefers to look for looping hooks and power shots. That's gotten him into trouble in the past and he has to fight against that tendency while facing a fighter like Tybura, who is high output from the first minute until the last. Struve does possess fight-ending power and he definitely has a nasty submission game where he does use those long legs and arms to lock up all sorts of chokes on the ground. Struve might want to mix things up to bring Tybura to the mat and try out his grappling game rather than just trading shots on the feet. Unfortunately, old habits are hard to break and it's likely that Struve will be happy to stay standing until he's forced to go to the ground, and that gives Tybura the advantage to pick where this fight takes place. Tybura will likely opt for a standup battle, but he may mix in a few takedowns to keep Struve guessing. Tybura's ability to press the pace for all 15 minutes should help him to do damage and then begin to wear out Struve round after round en route to the victory. These are the fights that appear to be a little more one-sided, but remember that this is MMA, where anything can – and usually does – happen. 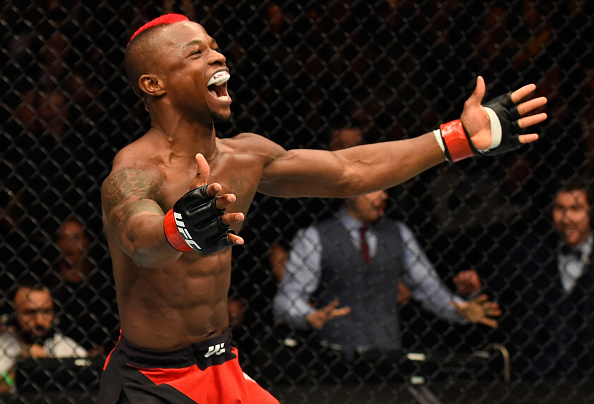 Following a pair of heartbreaking losses, Marc Diakiese will look to get back on track when he returns to action against Nasrat Haqparast. Haqparast has only fought once in the UFC when he suffered a loss last October, but he's typically known for his fight-finishing power, where he's earned eight victories by way of knockout. Haqparast will definitely be gunning for the finish from the first minute until the last in this fight. Unfortunately, that kind of game plan may be what dooms him against a striker as good as Diakiese, who is both creative and devastating with his combinations. Diakiese loves to mix together a diverse Muay Thai style attack, where he will blitz an opponent with punches and kicks while also having no problem throwing elbows and knees on the inside. Diakiese's output is also tough to deal with because he's constantly forcing his offense and rarely slows down from the first exchange until he gets the finish. Diakiese's confidence may have been shaken a bit from those two straight losses but this seems like the perfect matchup to help him get back on track. Nick Hein will look to bounce back when he fights at home against Damir Hadzovic in a lightweight showdown. Hadzovic has struggled to find consistency since joining the UFC roster with a 1-2 record, although he did manage to score a devastating knockout in his lone victory. Hadzovic is a big lightweight with good range and a solid reach advantage where he'll have four inches on Hein in this matchup. Now Hadzovic has only shown his striking offense thus far in his UFC career, as he's yet to attempt a takedown while struggling to stop the grappling attacks from his opponents. Hein has the ability to mix things up very well on the feet or on the ground and that will definitely be an asset for him in this fight. Hein would obviously prefer to stay standing, but he won't hesitate to take this fight to the ground if that's what it will take to win. Perhaps Hein's best ability is the way that he always seems to find a way to push the pace and really mount damage round after round. Hein doesn't typically display one-punch knockout power, but he will land combinations in succession and rarely slows down over 15 minutes. If Hein can stay the course with his game plan and not get thrown off by Hadzovic's reach, he should be able to land crisper combinations and do more damage over three rounds to get the win. Former heavyweight Justin Ledet will drop down to 205 pounds for his fight this weekend against Aleksander Rakic. Rakic is currently 1-0 in the UFC with an impressive win in his debut fight against Francimar Barroso last September. Rakic has been a devastating finisher throughout his career, with eight career knockouts with his only decision coming in his UFC debut. At 6-foot-4-inches tall, Rakic is definitely one of the bigger and taller light heavyweights in the division, but he may be facing his toughest competition to date when he takes on Ledet. Ledet is undefeated in his career with several impressive wins in the UFC heavyweight division. Ledet was definitely undersized at heavyweight so now he'll look to reinvent himself at 205 pounds. Ledet is a powerhouse both on the feet and in his grappling exchanges, so assuming that followed him down to light heavyweight, that will be an advantage in almost every one of his fights. Ledet hits hard but he's not reckless with his combinations. Instead, Ledet is very active on the feet where he lands just under five significant strikes per minute and he's very good at distance or in the clinch. Ledet will actually hold a two-inch reach advantage over Rakic, which is something the Austrian-born fighter probably hasn't had happen to him very often in the past. Ledet's ability to bully Rakic around the cage and then put together that voluminous striking attack should be more than enough to score him the victory in his light heavyweight debut. Former middleweight turned welterweight Bartosz Fabinski will attempt to earn his third straight UFC win as he takes on heavy-handed Emil Meek. Now there's no secret what Meek does well or what he'll be looking to do in this contest. Meek loves to strike and he will absolutely pour on the offense with a heavy barrage of shots that will typically come from punching combinations. Meek has blinding power on the feet so don't blink if he begins to unleash a flurry because his shots can come in rapid-fire succession without slowing down. Plus, Meek definitely has incredible toughness that he's shown throughout his career, so he won't go away until this fight is finished. That being said, Fabinski has a path to victory and it happens to be something he does very well. Fabinksi has to negate Meek's incredible punching power and the best way to do that is to engage him in the clinch and the look for the takedown. Fabinski has been a wrestling machine in his first two UFC fights and that strategy will serve him well against someone like Meek, who will undoubtedly want to keep this fight standing. If Fabinski can manage a couple of early takedowns or at the very least suffocate Meek so he can't get his striking combinations together, that game plan will pay off as the minutes tick away on the clock. Because Meek throws with such tremendous power, Fabinksi just has to do his best to avoid those shots in the early part of the fight and then begin to wear away at his opponent round after round. It's easier said than done, which is why Meek is a heavy favorite going into the fight, but Fabinski has a path to victory if he can stick to a grappling-heavy game plan. It would definitely be an upset, but Fabinski has the skills to get the job done.